Pass on the love this Valentine's! 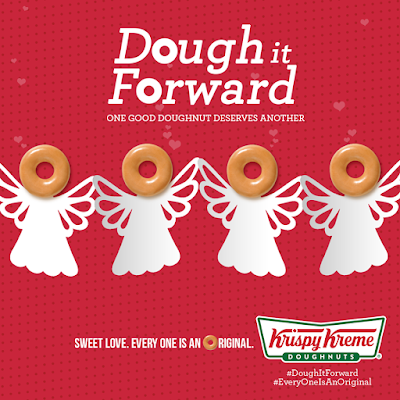 Check out Krispy Kreme's Dough It Forward Promo. 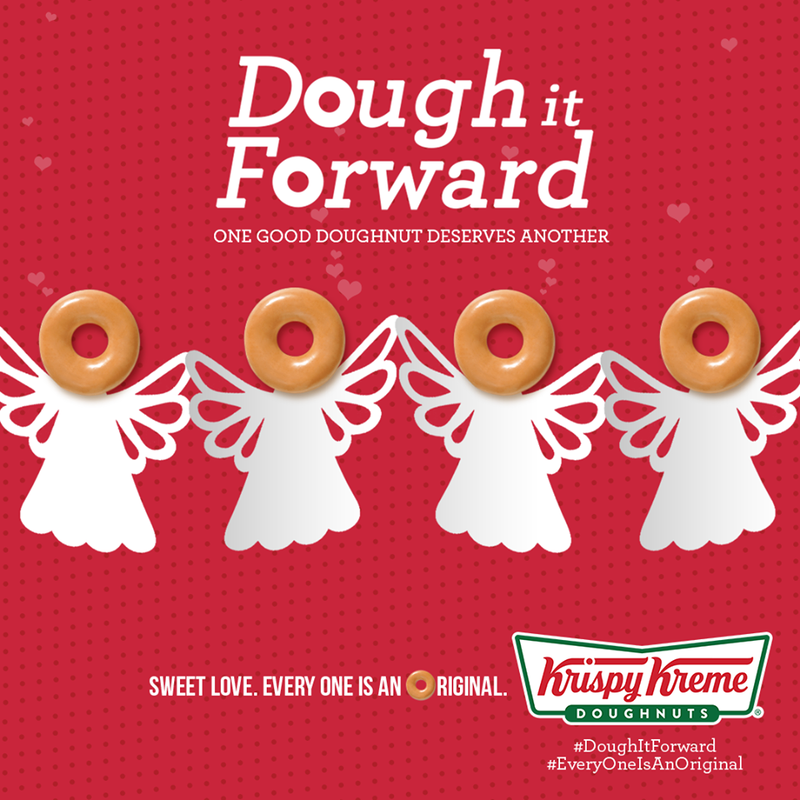 Pay for one Original Glazed doughnut for the customer next in line to you, and get one Original Glazed doughnut for yourself FREE. It's one dear way for you to 'Pay it Forward' or what they call 'DOUGH IT FORWARD'. Because one good doughnut deserves another. * Valid until February 18, 2018. * For Dine In and Take Out only in all stores except SM MOA Arena and Airport stores. * Not valid with other promotions and discounts.